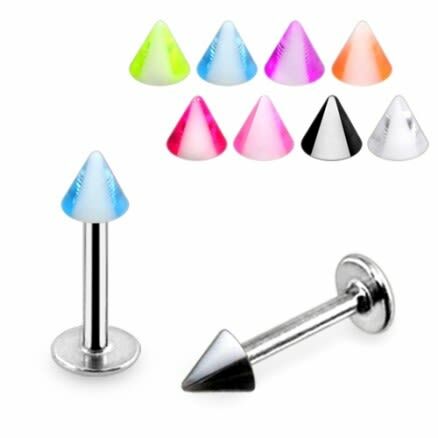 Grab everyone’s attention as you slip on the 316L Surgical Steel UV Color CONE SPIKE Labret Monroe Chin Lip Piercing. This lip piercing features a UV-colored cone spike to add to its spontaneous appeal. This lip labret can be used as a great Monroe chin piercing. Get this designer labret at the most reasonable rate.